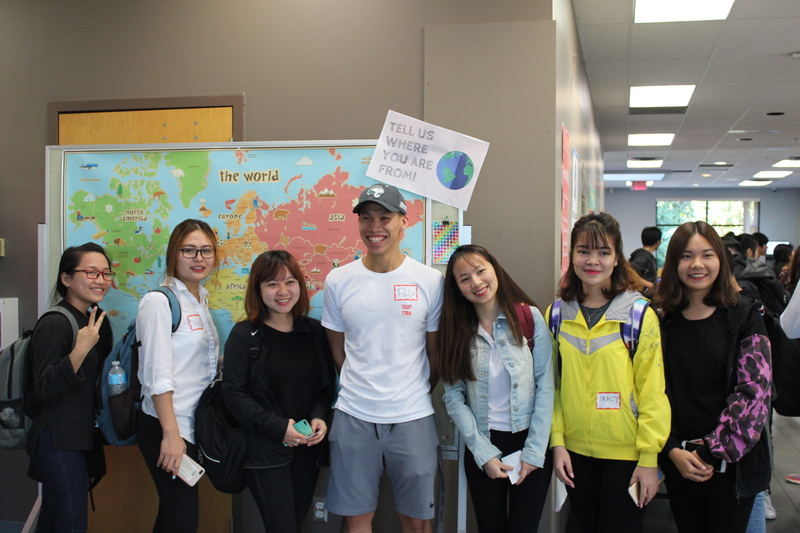 To bring to light the amount of tuition paid by international students, the “Fairness for International Students” campaign came to the New Westminster and David Lam Campuses. On November 13, the DSU had a table set up at David Lam Campus to provide more awareness about international student tuition fees. The next day, they set up in New West talking about the same issue. Tanysha Klassen, Director of External Relations at the DSU, said in an interview with the Other Press that the goal is to help people not be unfairly surprised by spiked tuition fees. The campaign was officially launched in September. The DSU organized an international meet-and-greet to formally launch the campaign and to give international students resources while at the College. Last week drove the campaign further by getting the rest of the student body involved. Students were asked to sign postcards to be sent to both Douglas College’s Board of Governors and BC government ministers. The postcards were split into two parts: The message for the College was that there needs to be better regulation on international student tuition increases, while the message sent to the provincial government focused on asking for legislation that would prevent universities from having unregulated control over tuition increases. Domestic students already have a two percent cap increase in BC. The campaign’s aim is to get the same for international students. In 2016, Douglas College hosted 2,000 international students from 85 countries. The numbers have increased since then. Douglas College’s financial report shows that more that $64 million was received in both international and domestic tuition fees from the period of March 21, 2017 to March of this year. Klassen also said that there are a lot of myths surrounding international students and their wealth. The Fairness for International Students campaign will take place next semester as well.